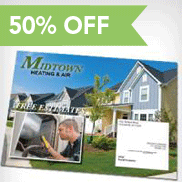 50% off UV-Coated EDDM Postcards! When your kids go trick-or-treating this month, they’ll want to hit every household they can. 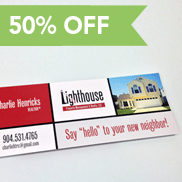 And so will you when you target a particular neighborhood with your marketing. That’s why the USPS created Every Door Direct Mail. It’s affordable, easy, and accessible to almost anyone. 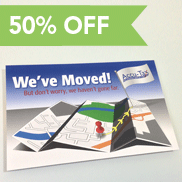 We’ve made EDDM even more affordable in October by offering a 50% discount on our new EDDM Fabu-Gloss Postcards. EDDM requires that mail pieces be specific sizes. 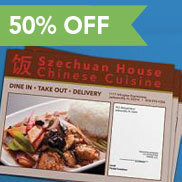 All 4 sizes of Postcard products on sale this month were created with those requirements in mind. And they all come with a durable and glamorous uv-gloss coating that makes colors extra vibrant. DID YOU KNOW!? – The Postage rate for Every Door Direct Mail is much lower than standard postage. This means you can mail these babies out for as little as 17.5 cents! Don’t miss this screamin’ good deal. Contact us or order online today.